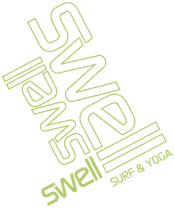 I spent a month in the Dominican Republic and some of my fondest memories are of my two weeks at Swell Surf camp. The management was great (Hauody), the surf instruction was good, and the Breakfast and Dinners were top notch. The establishment is very clean and well maintained. On my first day surfing I re-aggravated an old injury and I was in pretty bad shape. Hauody came through for me. She did all she could to comfort me and put me in the right direction to get the proper care which allowed me get back out in the water. I really appreciated that and it’s something I won’t forget. She’s truly amazing and a real asset to this establishment as is everyone else. You all surpassed all expectations in every category and I’m definitely returning in the future. Thanks for the great experience!